Torrance Pediatric Dentist, Dr. Sanah Sohrab was born and raised in Southern California. Having a strong desire to follow in his grandmother's footsteps; he pursued a career in dentistry. 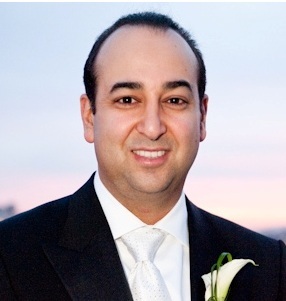 Dr. Sohrab graduated in 2001 from the University of California at Los Angeles (UCLA) with a Bachelor of Science degree in Psychobiology, and in 2005 he received his Doctor of Dental Surgery degree from the University Of Southern California School Of Dentistry (USC). Following dental school, he completed a two-year residency at New York University and Hospital (NYU), earning a specialty certificate in pediatric dentistry; where he received training in behavior management of children, IV sedation, Hospital Dentistry and interceptive orthodontics. Dr. Sohrab is a board certified Pediatric Dentist. Currently, Dr. Sohrab resides in Glendale, CA with his wife, Saloomeh, who is in the process of a completing her doctoral degree. Away from the office, Dr. Sohrab is very active in the community and volunteers with Children’s classes in the Burbank and Glendale areas. Dr. Sohrab enjoys playing soccer, playing the piano and the santur during his days off.